Nations facing imminent environmental disaster on Monday called on rich polluters to help them back from the brink, as the UN warned the world's plan to avoid climate catastrophe was "way off course". From glaciers melting in Nepal to the rising seas threatening to engulf small island states, the world is already experiencing the damage lying in wait if global warming runs unchecked. 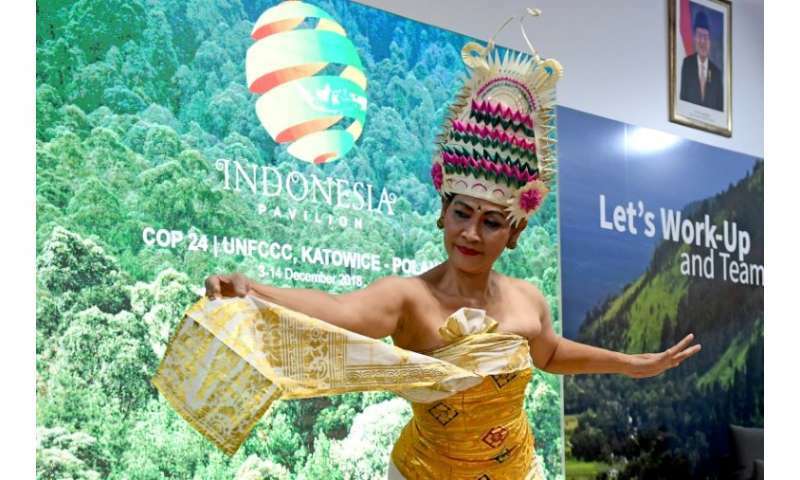 Nearly 200 nations gathered in Poland Monday for the start of the COP24 summit, where they must agree on a universal rulebook to make good on the promises they made in the 2015 Paris climate deal. "Nepal is a country comprised of mountains and plains," president Bidhya Devi Bhandari told delegates. "We have been bearing the brunt of disproportionate impact of climate change despite being a low carbon-emitting country." The Paris agreement vowed to limit global temperature rises to under two degrees Celsius (3.6 Fahrenheit) and to the safer cap of 1.5C if at all possible. For this, richer nations must provide funding—$100 billion per year by 2020—to steer developing countries towards greener energy while drastically drawing down their own emissions. But developing nations have complained that richer states—responsible for the vast majority of historic fossil fuel use—aren't doing enough to help them adapt to our warming planet. "We feel as if we have been penalised for the mistakes we never made," said Bhandari. "It is incumbent on the international community to ensure that justice is done." Not a single G20 nation sent a top-level representative to the COP on Monday. With just one degree Celsius of warming so far, Earth is already being subjected to raging forest fires, flooding and superstorms made worse by rising seas. A string of UN reports have sounded the alarm: levels of carbon dioxide in our atmosphere are the highest in 3 million years and the last four years were the four hottest in history. In October a team of more than 90 independent scientists said mankind must reduce its greenhouse gas emissions by half within the next 12 years to avoid heat rises that could tear at the fabric of society. 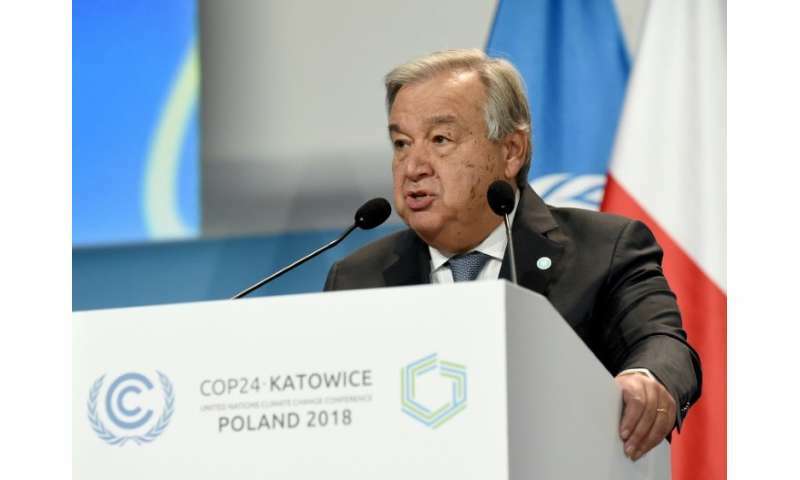 UN chief Antonio Guterres warned nations that their plan to chart a route away from runaway global warming was "way off course"
UN Secretary-General Antonio Guterres warned nations that their plan to chart a route away from runaway global warming was "way off course". President Muhammadu Buhari of Nigeria used his address to call for more stringent guidelines on financing "from developed countries to developing economies for climate change action." As developing nations begged for vastly quicker action, host Poland was pushing its own agenda: a so-called "just transition" to greener energy which critics fear would allow it to continue burning coal for decades. Eighty percent of Polish energy comes from coal, and the COP24 itself is being held on the site of a decommissioned plant in the mining city of Katowice. Proceedings were injected with a shot of glamour as former California governor Arnold Schwarzenegger and veteran wildlife documentary maker Sir David Attenborough both addressed delegates. 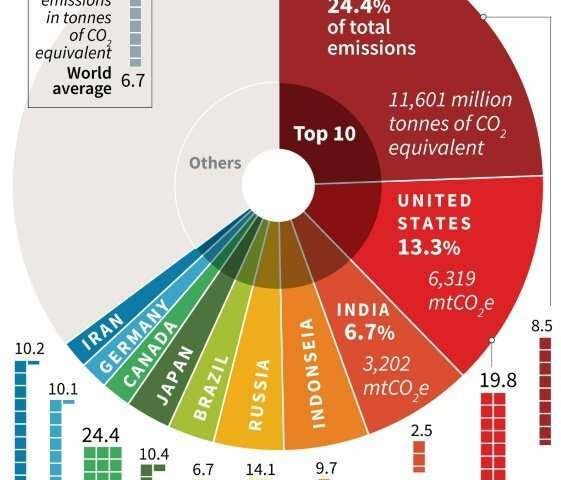 The world's top 10 greenhouse gas emitting countries. At a roundtable event later Monday, Schwarzenegger was asked what he would most wish for. 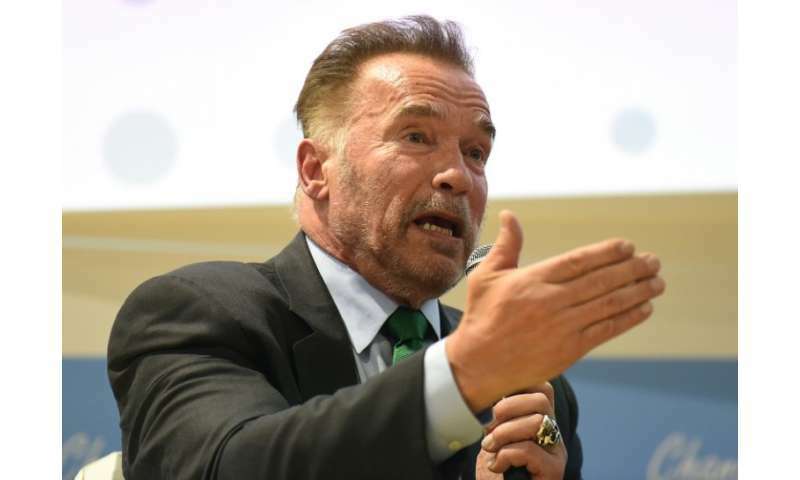 "I wish that I could be The Terminator in real life to be able to travel back in time and to stop all fossil fuels when they were discovered," said the former movie tough guy. Attenborough issued a plea for action on behalf of humanity: "If we don't take action the collapse of our civilisations and the extinction of much of the natural world is on the horizon". Frank Bainimarama, prime minister of Fiji and president of last year's COP, said developed nations must act before countries such has his are consumed by the waves. Indeed, we should be labeled as the 'Generation that betrayed humanity'. Write it on a spacecraft and send it out. Whoever finds it, will know our intelligence. We knew the disaster, but we did it in front of our own eyes and allowed to happen for personal/national benefits.